WHO IS NICOLE ATKINS ? : This 28-year-old singer songwriter with a most beautiful voice was raised along the New Jersey shoreline. Growing up, when her friends were collecting the latest New Kids on the Block album, she was raving about Traffic or Cream. At the age of 13 she found an old beat up guitar in the attic of her house. It had belonged to an uncle who died when he was young, and she taught herself to play a Grateful Dead song. Her father turned her on to blues artists like Jimmy Reed, and allowed Nicole to sit in on sessions with local musician friends. EARLY CAREER: She attended art school in North Carolina, where she played for three years with the North Carolina alt-country band Los Parasols before making a name for herself as a solo performer on New York City's anti-folk scene. She slept in an old Dodge Ram Charger on Avenue A, finally, with a little help from her friends, among them David Muller (occasionally a member of Yoko Ono's band, Fiery Furnaces and Fischer Spooner) finally discovered her own sound. 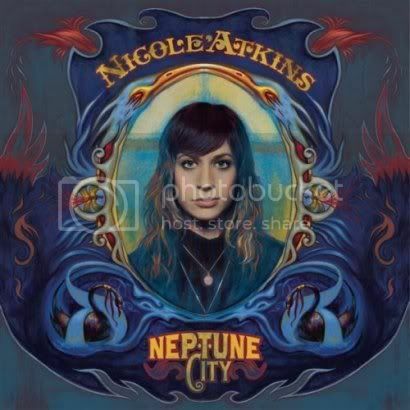 NEPTUNE CITY: A Year Ago, Atkins released her beautiful debut, "Neptune City," to critical acclaim by Rolling Stone, Entertainment Weekly, Spin Magazine, the New York Times, among others. Neptune City was produced by Tore Johansson (Cardigans, Franz Ferdinand, OK Go, Saint Etienne, New Order), an album that sounds like it came from anywhere but the New Jersey Americana rock tradition made famous by Bruce Springsteen. TOUR & CRITICAL ACCLAIM: Over the last year, Atkins has toured extensively to support Neptune City's release and has headlined North American and European Tours as well as performances on the Late Show with David Letterman, Late Night with Conan O'Brien, the Late Late show with Craig Ferguson, and most recently a performance on Later with Jools Holland in the UK with Metallica, Carla Bruni, and Kings of Leon. Live This Week ! : Nicole Atkins and the Sea plays TT the Bears in Cambridge tomorrow night. Atkins appears with two NYC bands of note: Salt & Somovar and Gregory and the Hawk. $12, 18+, Doors at 9pm.